The Eiffel Tower is a metallic structure designed by the French engineer Alexandre-Gustave Eiffel for the Universal Exhibition of 1889 in Paris, organized to commemorate the centenary of the French Revolution. You also have access to a simplified Timeline. The origin of the construction of the Eiffel Tower lies in the will of men to want to rise in the air. Always higher, every civilization has tried to build at least one building very high, as high as possible. But this race has its limits, those of building materials. Until the pre-industrial era the only materials capable of supporting the heavy loads inherent in tall buildings was stone, mostly granite known for its strength. But in the industrial era everything changes. The appearance of metal as a material applicable to the construction of buildings makes it possible to overcome the weight of the building itself, and it is quite natural that the wildest hypotheses circulated about the new possibilities offered to the domain of 'architecture. One of these hypotheses, probably the most plausible yet impressive, was to build a 1000-foot-high building, more than 300 m.
While the architects were planning to construct such a tower, the engineers looked at the various forging, riveting techniques and the different metals that could be used for construction. We are in the second part of the nineteenth century, and an engineer is going to make a specialty of the construction of iron bridges: Gustave Eiffel. See also: Biography of Gustave Eiffel. Gustave Eiffel, after having made his arms in a study firm where he realized his first bridges, worked independently then created his own company which will multiply the work all over the world. In 1884 his construction company is flourishing, it has many projects, several construction sites open. He built bridges, stations, pylons, and even the internal structure of the Statue of Liberty. Obviously his company operates with a large number of employees, a strict hierarchy, as it was in the nineteenth century, and effective men at the head of the services. This is where the tower actually begins. Maurice Koechlin was the head of the design office of the Eiffel company. Émile Nouguier, it was the head of the office of the methods, in charge of establishing real means for the construction of the structures. They conceived the plan of a 300-meter-high iron tower, responding to the technical challenge implicitly launched by the architectural community in the world. It was not the first project, but it was relatively realistic. It was in the form of a pyramid made up of 4 metal piles joining at the top. The 4 stacks were joined together by a plate every 50 meters, so there were 5, smaller and smaller. Despite everything Gustave Eiffel refuses to make this tower, but encourages them to continue their studies on this subject. It should be said that the Universal Exhibition of 1889 was already planned, and that he had in mind to build this tower as gateway to the exhibition entrance. It was a project of buildup, because not only was he not sure of being able to build this tower, but he still had to be allowed to do it, and that he also had material time . Still, the first project of Nouguier and Koechlin, presented in June 1884, was refused. Then came Stephen Sauvestre in the project, an architect who reviewed the design thanks to an eye both new and architect. It is no longer an engineering project but an architect's project, and this difference makes everything, in the eyes of Eiffel. Sauvestre redraws the plans, moves the piles of masonry pedestals, curves the batteries a little more than it was on the foreground and binds them by two platforms, one halfway up the junction of the piers, l at the junction. It adds a 3rd holding platform to the top and adds arches that ensure the solidity of the base. It also modifies the aesthetics a little by adding a bell tower at the top. This patent is filed in the name of Gustave Eiffel, Maurice Koechlin and Emile Nouguier, but the owner soon sees his interest and redeems the shares of his employees, which is why the tower will be named after him, and names of Koechlin and Nouguier are forgotten when they were the ones who drew the plans, with Stephen Sauvestre. 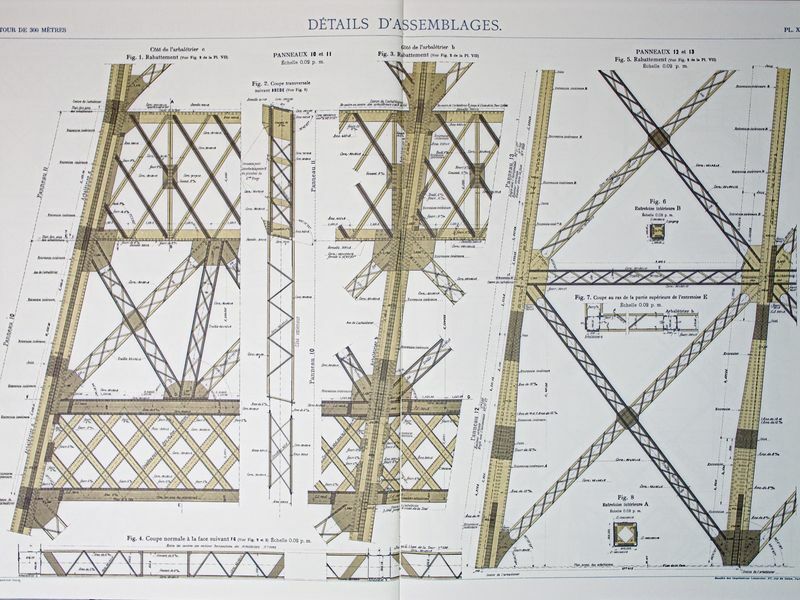 The calculations of the Eiffel Tower are at the base of the establishment of the plans, they were of course made before. These calculations are easier to understand than it seems. In fact, there are only two types of effort to take into account: The effort due to the load, ie the weight of the tower, so that it does not collapse on itself, and the effort due to the wind, which is the most important. On the pages below you have the completeness of the calculations that were made to design the Eiffel Tower. These are complex calculations, using architectural notions whose main terms are explained, so that it is easier to understand. In practice, each of these two calculations emphasizes the general principle of applying a vertical force to the load due to the load and horizontal for the force due to the wind, and then explains how it was taken account for these efforts on the different parts of the tower. See the calculations of the Eiffel Tower: Calculation of the Eiffel tower. Above all it is important to note that Gustave Eiffel did not present his project alone, it was a joint work between two engineers, Maurice Kœchlin and Emile Nouguier, an architect, Stephen Sauvestre, and himself, an entrepreneur. Starting from this principle, the very name "Eiffel Tower" is probably usurped, but hey, it is so ... The project was chosen, the 4 laureates get to work. Plans were quickly drawn up with the help of 50 engineers and draughtsmen who executed nearly 5300 drawings, describing the monument as accurately as possible. All these drawings were compiled in a book that comes as an annex to the "Tower of 300m" by Gustave Eiffel. This book is called logically "The 300m tower, boards", it contains a summary listing the 47 shots that were made to describe the Eiffel tower to the smallest details. They are divided into two chapters. The first gives the plans made for the universal exhibition of 1889, the second, those of the improvements made for that of 1900. This second chapter is of course much shorter. What is interesting to note is that the boards are in double pages, on wove paper of large format. They are arranged in chronological order of construction. The first board is an overall drawing, then there are the drawings of the foundations and bases, the framework, the fittings, the elevators, the assembly, the lower staircase, the buildings on the first floor and the calculation of the backbone. This leads us to board XXXIV. The others concern the improvements of 1900, there is the elevator Fives-Lille, then the restaurants and platforms. The book ends on a few in-depth proofs (13, exactly), as well as on a map of Paris and its surroundings, mentioning the main monuments of the region. 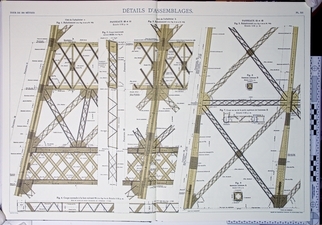 See all the plans of the Eiffel Tower: Plans of the Eiffel tower. "To raise on the Champ-de-Mars an iron tower square base of 125 meters of side at the base and of 300 meters of height"
As if by chance, the Eiffel project has a base of 125m, and the other conditions fit perfectly into the plans of Sauvestre, Koechlin and Nouguier. One of these conditions is the possibility of using the tower for technical or scintific experiments, something that the project had planned from the outset thanks to the presence of 3 platforms on which one can not only mount and circulating freely, but on which one can also store scientific equipment and build premises not necessarily cramped, in addition. 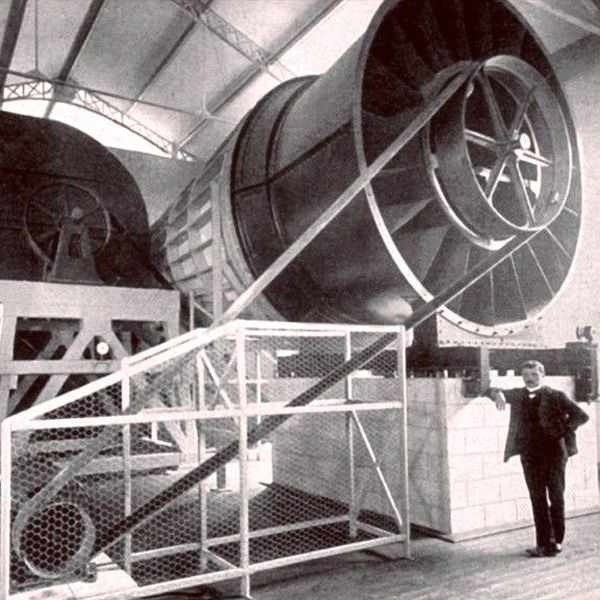 This argument will tip the balance in favor of Eiffel, but it was not a promise in the air: The tower has really been the backbone of many scientific experiments, it has greatly advanced science in the field of " aeronautics, meteorology, broadcasting, etc. In fact, broadcasting will save it from destruction, 20 years later. Still, the competition is launched by the Ministry of Industry and Trade, and projects are starting to arrive. On May 12, 1886, the Minister appointed a commission for the study and examination of the execution project composed of the following personalities: The Minister of Trade and Industry (President), Mr J. Alphand (Director of the City of Paris), Mr G. Berger (former Commissioner of International Exhibitions), Mr E. Brune (architect, Professor at the Ecole des Beaux-Arts), Mr Ed. Collignon (Chief Engineer of Ponts et Chaussées) V. Contamin (Professor at the Ecole Centrale), Mr Cuvinot (Senator), Mr Hersent (President of the Society of Civil Engineers), Mr Hervé-Mangon (Member of the Institute), Mr Ménard-Dorian Mr Molinos (Administrator of the Forges and Steel Companies of the Navy), Admiral Mouchez (Director of the Observatory), and Mr Phillipps (Member of the Institute). Faced with this commission a surprise awaited Eiffel. He expected some project submissions, most of which were not credible, but by the deadline for applications, there were no fewer than 107 files on the minister's office. The thorough study of these files made it possible to quickly eliminate a large quantity, most of them unrealizable, but some were serious and direct competitors of the tower of Mr Eiffel. In the end the latter won the contest, but it was not that easy. One can objectively think that if the Eiffel project was among the most plausible projects, the privileged relations that it maintained with the high personalities of the State made it select definitively, which was not necessarily an evil considering the work of lobbying he had been doing for years. Note that the second of this contest, Jules Bourdais (1835-1915), was a project just as serious as his, he foresaw the construction of a gigantic lighthouse. The next stage took place on January 8, 1887, a little more than 2 years before the opening of the universal exhibition. On that day, the signing of the agreement for the construction and operation of the tower between Edouard Lockroy, Minister of Industry and Commerce, Eugene Poubelle, Prefect of the Seine (acting on behalf of the city of Paris) and Gustave Eiffel. This agreement stipulated the location of the tower, which had been the subject of lengthy discussions, the planning of construction, the presence of one room per floor for scientific experiments, which could be transformed into military experiments, planning that became tight and especially funding, probably the most important point. On this subject it was agreed that Eiffel would receive public subsidies of 1 million and a half francs and would cover the rest of the cost by its own funds. (see the Concession Agreement). In total, the construction cost was 6.5 million francs, Eiffel thus had a 23% aid, the remaining 77% remained in its charge. But he of course gets a major compensation: The operation of his tower for a period of 20 years, which would ensure not only the reimbursement of costs but also a substantial financial windfall for years to come. The convention provided for guards, for example with the fixing of the rates for visits during the World Expo, or that the tower would become a property of the city of Paris at the end of the exhibition, with enjoyment for 20 years for Gustave Eiffel. Thus December 31, 1909 was supposed to be the last day of operation of the tower by Eiffel, according to this convention. See also: Contract of concession. The construction of the tower lasted a little more than 26 months and three days. The first strike took place on January 28, 1887, the inaugural flag was planted at the summit on March 31, 1889. The first work concerned of course the foundations of the 4 pillars to support the metal piles. Their digging and casting lasted five months, all the work being carried out by men. The excavations were evacuated by carriages drawn sometimes by horses, sometimes by steam locomotives. If there were no difficulties for the construction of pillars 2 and 3 on the Champ de Mars side, it was not the same on the Seine. Pillars 1 and 4 required foundations made with compressed air using sheet metal boxes driven 5 m under water. The foundations are large concrete blocks not falling more than 15 m below ground level, they are called crossbowmen, they are the base of the tower. The advantage of these pillars is to minimize the forces projected on the ground compared to what it would be if the pile were directly placed on the foundations. See also: Foundations of the Eiffel tower. It was on July 1, 1887 that the construction of the metal part began. At the beginning the assemblage was simple: The workers recovered the pre-painted parts manufactured in the factory and assembled them from the ground, low scaffolding and cranes. But from 30m high it was no longer possible to do so, it was necessary to build 12 special wooden scaffolds, then, from 45m, other scaffolding, but those more solid, able to receive the beams of 70 tons of the first floor. It was thanks to them that the workers were able to assemble the parts forming the first platform, at a height of 57m, a junction terminated on the 7th of December, 1887, in the middle of winter. From there the scaffolds were mounted on the first floor to continue the construction up to 115 m high where the 2nd junction took place, completed on August 14, 1888. The rest was done thus to the top, knowing that 'from the second floor the four stacks made only one, the work became easier. The pieces of the tower were made in the Eiffel workshops, in Levallois-Perret. Most were assembled in the workshop, held together by temporary bolts. Thus the workers who climbed the tower on the construction site (they were called voltigeurs) had less work, it had just to position the elements and replace the bolts by definitive rivets. The construction of the tower did not pose any particular problem, the site, although well overdue, was completed before the deadline. It should be noted that the strike of the workers, as the winter of 1888 approached, demanded better working hours and a risk premium given the height at which they worked. Gustave Eiffel ceded the premium he increased, although he noted that the workers were better paid on this site than on another, but refused to index the premium on the working height, as the risk was, according to it is the same regardless of the working height. The construction site employed a maximum of 250 people, which was already quite good, and in spite of the risks no deaths were to be deplored. Let us mention, nevertheless, the anecdote of this workman who came up with his fiancée on the tower on a Sunday, a day chomé, and which fell as a result of a loss of balance. This death, however frightful it may be, can not be attributed to the construction site itself. At the end of the construction, in March 1889, the tower had a height of 300m, but its size increased to 324m when installing the radio antennas a few years later. It was the tallest structure ever constructed by the man. It kept this record for a long time before being beaten in 1930 by the Chrysler building in New York. The initial weight of the tower was around 10,100 tons. See also: Construction of the Eiffel tower. The inauguration of the Eiffel Tower took place on March 31, 1889. It took place inside the west pillar as far as the speeches were concerned, but at the top of the tower for the symbol. This day began around noon. In the western pillar were assembled 200 workers, Mr Eiffel, and representatives of the Paris Council. After a short snack the officials left the workers and climbed the 1710 steps to reach the 3rd platform, then they went up to the pole. There Gustave Eiffel hoisted a tricolor flag, then everyone went down again to find the workmen. A ceremony took place, with speeches borrowed from the honor of France, with pride and thanks. The workers received a bonus, and Eiffel learned that he had been proposed for the Grand Officer of the Legion of Honor. Minister Tirard arrived as well as Mr. Alphand, curator of the Universal Exhibition of 1889, participated in the speeches. Then another collation was served, and it was the end of the inauguration. But it was not that the tower was open to the public. In fact, it was not until May 15, 1889, that the first visitors could ascend the monument. Learn more about the Inauguration of the Eiffel tower. And wait was the word since at the time it had a very popular success, and this despite the campaign of denigration it was the object before its construction. The effect of the universal exhibition was significant: Of the 32 million visitors, 1 in 16 climbed the tower, or 2 million people, until the exhibition closed on October 31, 1889. But this attendance is exceptional because in the following years the number of visitors fell, with a major start in 1900, the year of the new universal exhibition in Paris, but even during this period there were proportionally fewer visitors than expected. So that in 1909, at the time of the definitive cession of the Eiffel tower to the city of Paris and the end of the exploitation by Gustave Eiffel its tower did not really have the coast and it was considered more and more seriously to disassemble it. And it works because in 1909 the army began to take an interest in wireless transmission technology and pressured the minister to retain this gigantic pylon that might have an interest in this field. At that time the tests were not yet convincing, but between the demands of the army and other civilian applications the authorities understood that it was not necessary to dismantle the tower and in 1910 extended its concession for the 70 years to follow, concession which remains in favor of Eiffel. See also: Sscientifics applications of the Eiffel tower. See also: Naturals effects about the Eiffel tower. In 1912 a sad event marked the Eiffel Tower, which served only as a support, but as a drama. In February of that year a man, a certain Franz Reichelt, a tailor at Longjumeau, presented to the press a model of clothing capable of slowing down the fall of a man. It is the ancestor of the parachute, made in the form of a cloth suit cut out on the model of bat wings. At 8:00 am the journalists were at the foot of the Eiffel Tower to see the exploit of this man jumping from the first floor of the tower and slowly landing on the ground. But everything did not go as planned, and Reichelt fell violently, causing his death on the frozen ground of the Champs-de-Mars. Learn more about the bird-man. When the First World War broke out it was 25 years ago that the tower was built. Extended only 4 years ago the concession now belongs to the city of Paris. For several years various tests of TSF have been made and little by little the army sees the interest to use it as support. It must be said that this 300m pylon in full Paris is a windfall, it captures messages of long distances which gave various victories to France. Particular mention is made of messages which led to the arrest of Mata Hari, the spy in the pay of the Germans. This war was of great interest also for the Eiffel Tower which proved its usefulness and especially allowed the TSF to become popular. At the end of the war, the progress of broadcasting, and then of television broadcasting, were intimately linked with the main support of the Eiffel Tower. It was after the First World War that the use of wireless was propagated. Set up for the civilian from 1920, it was in 1921 that the first radio programs are broadcast regularly, programs initiated more particularly by Lucien and Sacha Guitry. 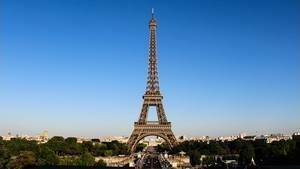 Moreover "Radio Tour Eiffel" is officially inaugurated on February 6, 1922, or even a year later. A studio was even built in the North pillar allowing, in 1925, the broadcast of the first radio journal of history in France, a newspaper of Maurice Privat. Television arrived very quickly, in 1925, the year of the first tests by Louis belin, but the technique is still in its infancy. It was not until 10 years before actual broadcasts were circulated (26 April 1935) that the major problem was the small number of reception stations available in France. In 1937 Paris hosted the "International Exhibition of Arts and Techniques Applied to Modern Life," which was held in Paris from 25 May to 25 November 1937. It was the official name of the 1937 Universal Exhibition, exhibition initially fairly simple but which will eventually undertake major works in Paris and will accommodate millions of visitors. On this occasion some Parisian buildings are improved: The old palace of the Trocadero is demolished, replaced by the palace of Chaillot, the palace of Tokyo is built and the Eiffel tower is renovated with the suppression of the aging decorations of the first floor and the installation of a new lighting, more efficient. This period is not the richest in terms of the Eiffel Tower. Taken by the Germans in 1939 at the same time as Paris, it continued to function normally. 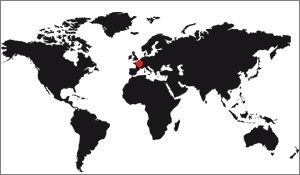 The Germans installed a Telefunken transmitter, "Fernsehsender Paris", ("TV channel of Paris"). It was the only television transmitter operating in Europe at the time. The programs were obviously in German, they were intended to inform and entertain. On the sidelines of this use the Germans place a light beam at the top of the tower to guide the planes over Paris at night, but also to avoid accidents. History tells us that Paris was almost razed just before the German surrender. The Eiffel Tower could have ended this way in 1944, but the fact that the order was never put into execution allowed us to have the tower of our days. At the liberation the Americans installed a radar. After the Second World War, progress was resumed and wireless communications experiments continued. It should be noted that the Germans had left on the Eiffel Tower a Telefunken transmitter named "Fernsehsender Paris", which means "TV channel of Paris". This transmitter broadcast in 441 lines what was important for the time. It will be replaced following a fire by another more efficient one of 819 lines, then by a new one after the end of the diffusion of TF1 in black and white. Finally, in 2005, a new transmitter was born, that of terrestrial digital television (DTT). The Eiffel Tower was of great importance, a radio-television issue. Thus in 1953 the first broadcast in Eurovision, the crowning of Queen Elizabeth II, was broadcast on air. In parallel with the improvement of the techniques and therefore of the broadcast equipment, the antennas are also progressing. The Eiffel Tower receives in 1959 a new antenna that raises its size to 318.70m. It will be replaced in the year 2000 by another more efficient, and higher also, the tower passing to 324m high (current height). During this period the Eiffel Tower did not really evolve. In 1952 it received an aeronautical beacon light that replaces that of Mount Valérien, destroyed during the war. It had an immense range, up to 300Kms. 1980, it is also the year of the renovation of the tower. Unlike the Statue of Liberty, which the Americans never really knew how to maintain, the Eiffel Tower has always been carefully maintained. The planning of the painting was perfectly followed, with the notable exception of the period of the First World War, where it took another three years. But nearly a century later, the tower could be analyzed and modified, because the initial calculations of Maurice Koechlin and Emile Nouguier, the designers, were perfectible with modern means. Thus, the structure was relieved of 1340 tons by removing many unnecessary girders, and the staircases and lifts which had become obsolete were replaced. Finally, security features were added to deal with the explosion of tourists, the 1980s corresponding to the beginnings of mass tourism in Europe. Moreover the oldest still remember the protective grilles of before the 80s, rather low. Nowadays, it is almost impossible to climb them, even when climbing the stairs. In addition to these works, the painters painted the names of the scholars who went around the first floor, and were masked during the renovations of 1937. The restaurant "Le Jules Verne" is located on the first floor. 'acts as soon as it opens a gourmet restaurant. This renovation was accompanied by anti-corrosion treatment and a paint campaign covering the entire tower, and finally by the renovation of the lighting system, which will consist for some years of 352 sodium. 1980 marked the end of the concession to Gustave Eiffel, who had died for a long time. It was still his operating company that had the concession to operate. A new company is created, the SNTE (Société Nouvelle d'Exploitation of the Eiffel Tower), which belongs to the city of Paris and to a private bank. But this company only works until 2005, when SETE was created to succeed it (Société d'Exploitation de la Tour Eiffel). SETE has a contract until the end of 2015. Since the 1980s the Eiffel Tower has been regularly modified. For example, in 2005 the transition from digital broadcasting (DTT) to television broadcasters and broadcasters was changed. The main event is of course the major renovation of the First Floor of the tower which took place in 2011, following the will of the city of Paris to modernize it. It must be said that this floor, since the renovation of 1981, was rather uncrowded, it was somewhat the loved one of the tower. The contest that was launched for the occasion was won by the Moatti-Rivière firm that had linked to a construction company. Their projects, which were put into operation until 2014, consisted of rebuilding the entire floor without adding or removing weight, hence an additional difficulty compared to the usual building sites. They took the opportunity to build a glass floor that is fun for tourists, much like the London Bridge in London or the CN Tower in Toronto. This floor is now finished and perfectly operational. It is much more modern than before, more original too. Difficult year that that. The Eiffel Tower, although not directly impacted by the events that took place there, nevertheless had a relationship. It all starts with the field of ecology. In February 2015, two wind turbines with a capacity of 10 MWh per year were installed on the tower to mark the transition to a more ecological management of the energy expended. It should be said in this regard that it was precisely in November 2015, for 15 days, that COP21 was held in Paris, a meeting of world leaders to standardize global actions in the fight against global warming. On this occasion the Eiffel tower was equipped with an original lighting. Plants grew from one of the pillars and developed over the entire structure of the Eiffel Tower. After a few seconds, she disappeared to let another grow. What triggered the shoot? A mobile application allowing everyone to donate for an ecological association. Every call made a new plant grow. Original as idea, right? Numbers on the Eiffel tower.